He thinks though he should have scord more. Speaking after the match that saw City move to within 2 points of the play offs Jimmy talked at length about the season so far. "I would have liked to have done a little bit better, particularly with the goal tallies," said the 35-year-old. "The thing is it was always going to be difficult in the beginning, you play so many matches and we had new players. So it all had to gel. "We did play some good football at the start of the season, but we did not really get the results. But you have to keep working hard and keep believing. "There are 18 or 19 matches to go in the Championship so there is still a lot to play for. "We have kept on believing, we kept on working very hard and, as a team, we are putting a great run together. "We have some important players at the moment who are playing very well - Stephen McPhail, Gavin Rae and Joe Ledley - and that is very important. "If we can keep this going, we can keep on getting the right results. Sometimes we are a little naive, but that is normal. "Sometimes we are looking for the perfect goal and that doesn't exist in football. "Sometimes you just have to do the dirty things and at the moment that is what we are doing. "We are not spanking people, but we are getting results. That is good for the confidence of the whole team. "Personally, if we keep winning, I am enjoying myself. It is all about winning. It is about making sure you get the three points. 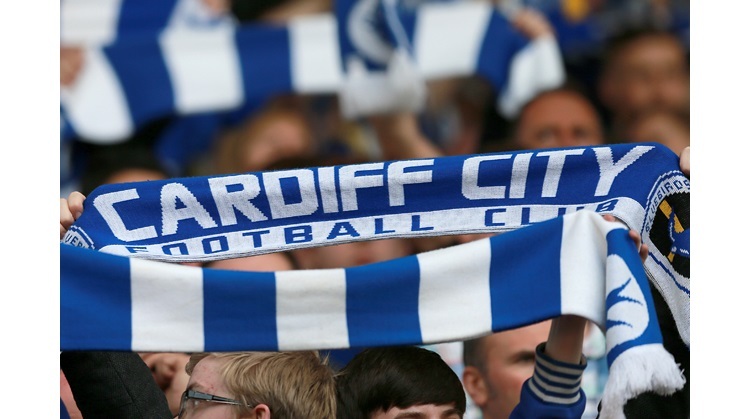 "It is not about Jimmy, it is about Cardiff City. I scored the 1-0 here, hopefully next week it will be someone else who scores and we get the 1-0. "We are believing we can get into the top six places, but it is still too early to be talking about that. You just have to try to win each game. "Next week we are playing West Brom and they are the best footballing team in the division. They score the most goals and it is going to be a challenge."